(BPT) - The stock market is off to a rocky 2016 and experts advise we buckle up. Uncertainty around China, oil and interest rates is leading to waves of selling and a sharp decline in the market. 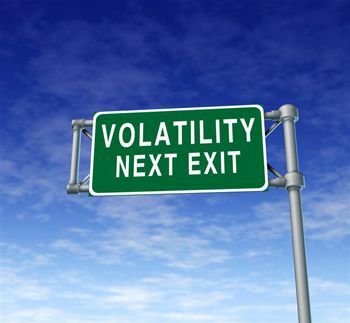 This volatility is a reminder that we should expect the best and prepare for the worst. At the very least, we're in for a roller coaster of uncertainty, and now is the time to get financially prepared. Here are three ways to get your money in order for uncertain times. 1. Stow away cash in an emergency fund. You should have six months' expenses saved in case of an emergency. And by emergency, we aren't talking about a desperately needed wardrobe upgrade, or a European vacation to cope with a mid-life crisis. This should be money set aside to deal with life's emergencies like layoffs, medical bills or unforeseen crucial expenses. Don't feel bad if you haven't saved up six months' expenses though - according to a recent Bankrate survey, fewer than four in 10 Americans can handle expenses outside their normal budget. To get a rough goal for your emergency fund total, simply add up all recurring monthly expenses including rent/mortgage, food, gas, car payment, cable, phone, etc. and multiply by six. Try to put 5-10 percent of each paycheck after taxes to this fund, and be sure to put the money into accounts that are liquid and stable, like a checking, savings or money market account. 2. Play it safe with investing. Investing shouldn't entail blindly paying a stockbroker and assuming all the risk with no tangible goal for success. New investing tools have emerged that bring elite investment options to everyday Americans. These can be great assets in a tough economy. Aspiration, for example, offers strategies that limit the volatility of the stock market and invest in companies with sustainable business practices toward the environment and their own workers that make them poised for growth. Best of all, customers set their fee, even if it's zero. Yes, you read that right - Aspiration lets investors pay them whatever they think is fair, and it can be changed at any time. If this sounds like a gimmick, know that Aspiration is a trusted brand that was just named one of Fast Company's Top 50 Most Innovative Companies of 2016. If you prefer paying an advisor for advice, Personal Capital is another new-school financial company that provides award-winning technology to help you manage day-to-day finances and investments. Personal Capital offers investment advice from licensed financial advisors, at a significantly reduced all-in management fee. Once your portfolio is set, start investing a modest amount each month. Even $50 a month will add up over time, and that money will do you more good in the long run than one night at the bar, 10 overpriced lattes, or five deli lunches. 3. Open a fee-free bank account. The days of big banks dominating the industry and charging outrageous fees could be coming to an end. Convenient banking options exist that bear interest and don't charge an arm and a leg for services. Take the Aspiration Summit Account, a checking account that offers a 1 percent annual percentage yield (100 times the interest rate you get at big banks), $0 monthly service fees, and free access to any ATM in the world. Instead of spending millions on Washington lobbyists or corporate jets for its executives, Aspiration puts that money back toward making this the best account possible for its customers. And it gives 10 percent of all its revenue to charities helping struggling Americans. Money magazine named this the "Best Checking Account in America." Another option is your local credit union which will often have better services and fairer interest rates than a big bank. Once your finances are in order, peace of mind can set in. A down economy is hard on everyone, but knowing you've taken the basic steps to save in case of emergency will pay off huge in times of need. And if the stock market never crashes and the economy only points upward, you can always use the spare cash for a down payment on that European vacation you've always wanted.